Throughout Year 2 the children learn about diversity and respect through our theme 'OUR WORLD'. It was lovely to see so many children had gained Year 1 badges and were wearing them on their jumpers coming up to Year 2. 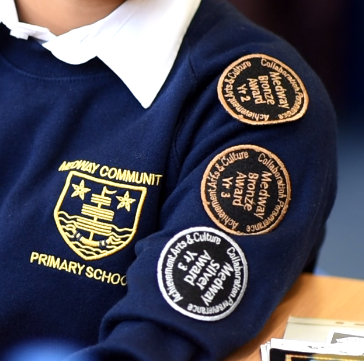 Badges are earnt by following our School Aims and our Keys to Success. PE is every Wednesday afternoon and children should bring their PE kit in a bag with their name clearly labelled on every item of clothing. Earrings and other jewellery must not be worn for PE.